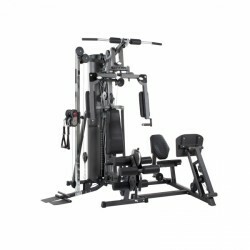 The Finnlo multi-gym Autark 2500 is equipped with all pull and press modules for a varied whole body training. In contrast to many other home fitness modules, the Finnlo multi-gym Autark 2500 offers adjustment possibilities on backrest and seat so that the Finnlo multi-gym Autark 2500 is optimally adjusting to your physical conditions. 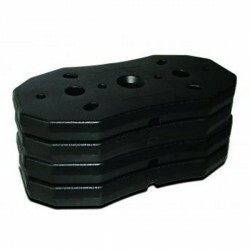 Furthermore, the butterfly arms are five times adjustable in angle. It allows a chest training with almost extended arms (for training of external chest muscles) or 90° extension (for training of inner chest muscles) - according to the chest area that should be exercised. Moreover, the leg curl of the Finnlo multi-gym Autark 2500 is extended by a leg extension function so that either the front or the posterior thigh muscles can be precisely exercised. In combination with the leg and calf press, the Finnlo multi-gym Autark 2500 guarantees an efficient leg training like at a gym. 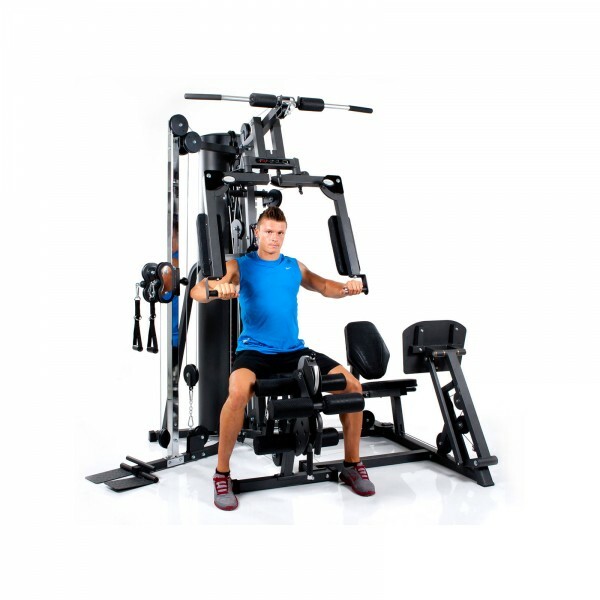 The innovative and vertically adjustable double cable pull unit of the Finnlo multi-gym Autark 2500 provides a varied training of the whole body. The cable pull module with 160° roller system can also be used as upper, middle and lower pull and realizes a multitude of free training exercises. Large feet and cross tubes give the Finnlo multi-gym Autark 2500 a solid stability during the workout. 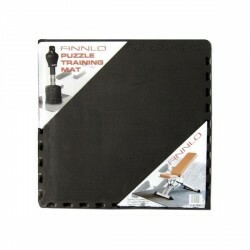 Finnlo multi-gym Autark 2500 add to comparison list.